Are you managing and controlling all aspects of your life? Checking off your to do list? Ensuring each day is crackerjack-full of productive activities? Or are you letting your life unfurl before your own eyes? Are you open and receptive to opportunities that might just be around the next corner? Are you leaving space -- precious space -- during your day for something magnificent to unfurl? We've been conditioned by time management experts and self-help gurus to shape our lives to fit our preconceived notion of success ... only to realize later in life that we may well have been sold a bill of goods (quite literally). What would our life be like if we followed our nose to see just what opportunities were ever-present that ignited our creative spirit, or touched the depths of our soul, or let us express our deepest compassion. Life has its own way of unfurling, and will do so quite nicely without any help from us, thankyouverymuch. Can we learn (or unlearn) to accept that unfolding, and consider what is the wisest response to each situation? You will be surprised the degree of peace that can arise from that unknowing, that lack of control. Indeed, it is our desire to control our world that introduces tremendous stress and suffering (when things inevitably don't follow what we had in mind). So resign today from your envisioned job as master of the universe. 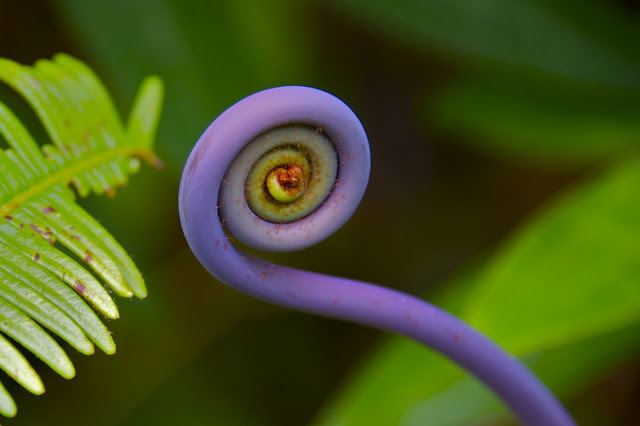 And watch the miracle of life unfurl all on its own. And then ... be at peace.